We weren't going to post here today as Mum has already done a post on her blog but as it's Hug Your Cat Day I decided I wanted a post too! Cute photo! Limited hugging is going on here today - apparently I am the only kitty here who welcomes hugs. you ALWAYS have beautiful Hug photos! Such a beautiful photo, Athena and Mum. Happy Hug Your Cat Day, sweet pals. Beautiful photo of you both! 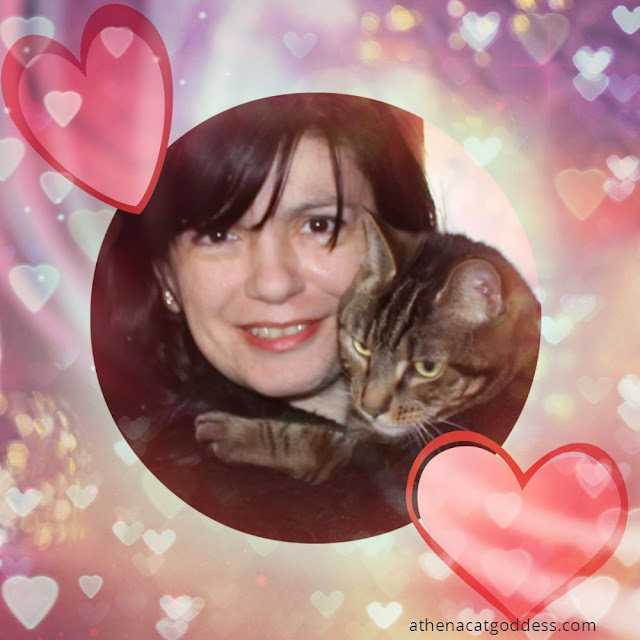 Happy Hug Your Cat Day Athena! Your mom looks like a good hugger, Athena. Happy Hug Day! You can have a hug from us too, Summer!